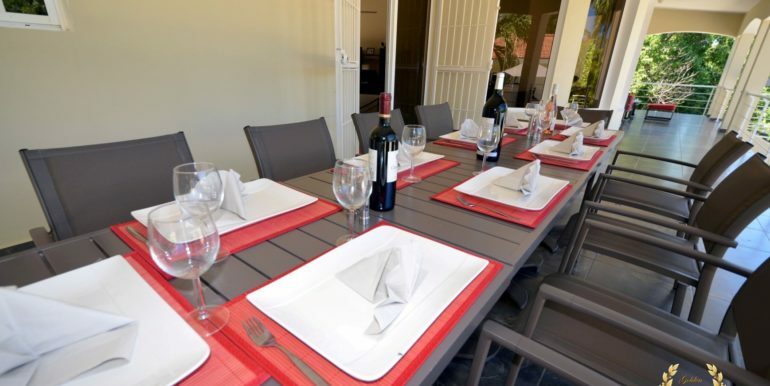 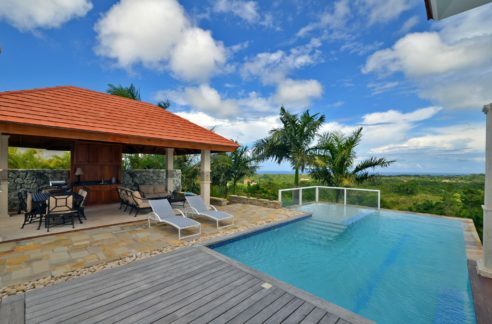 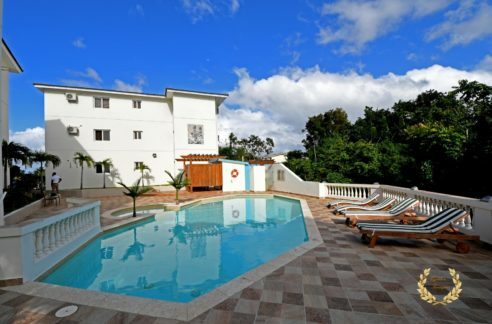 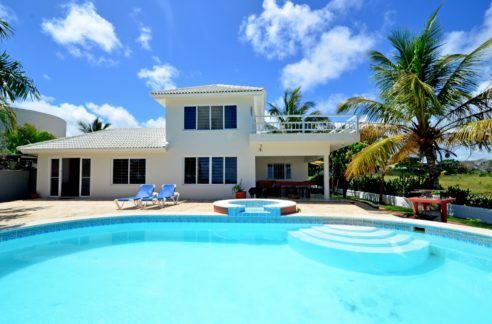 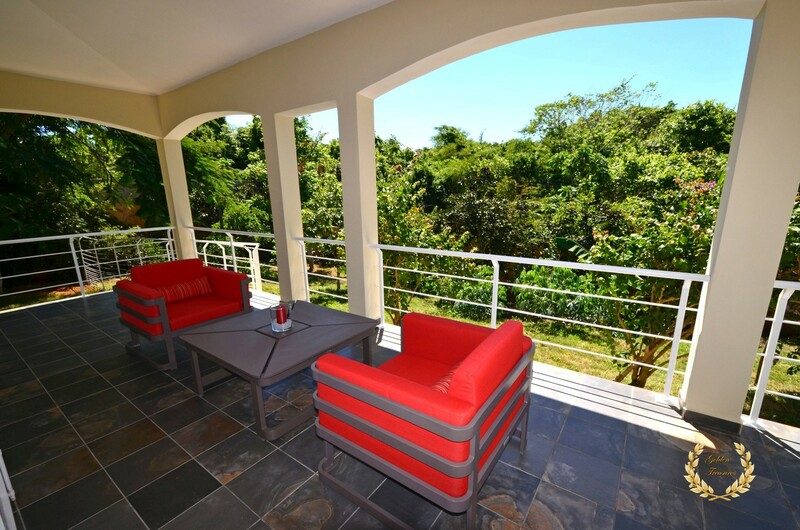 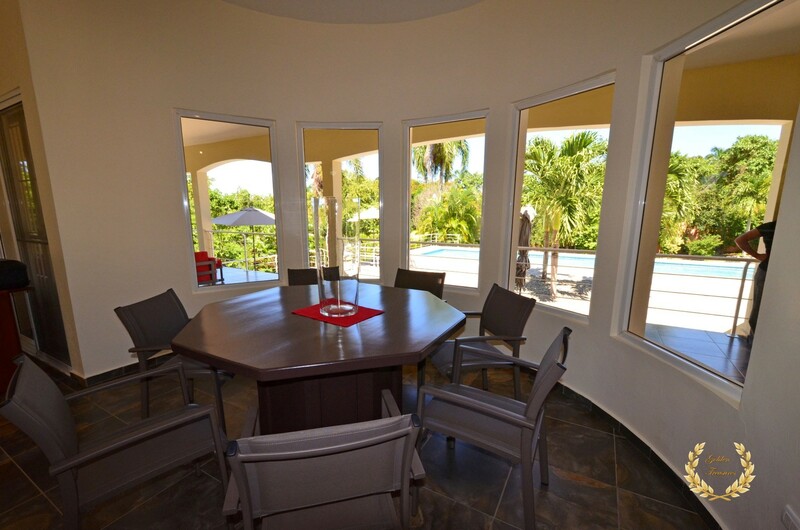 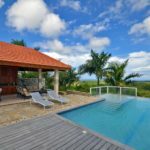 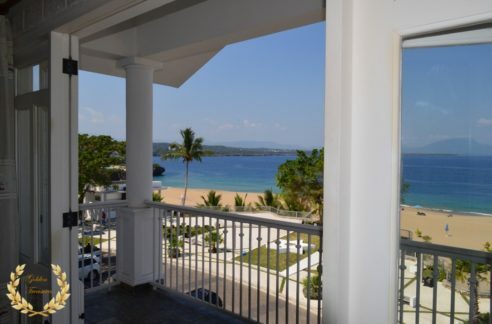 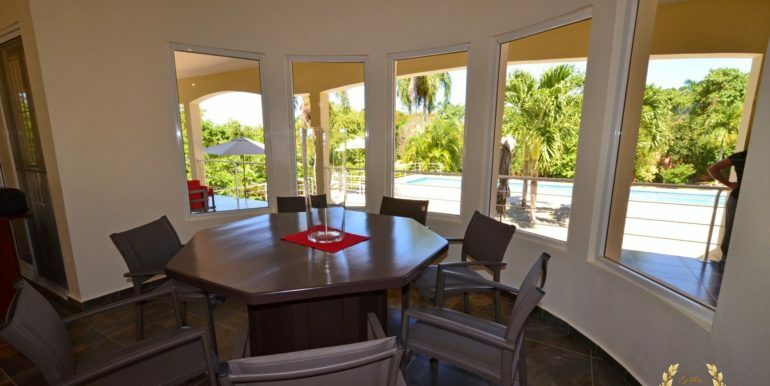 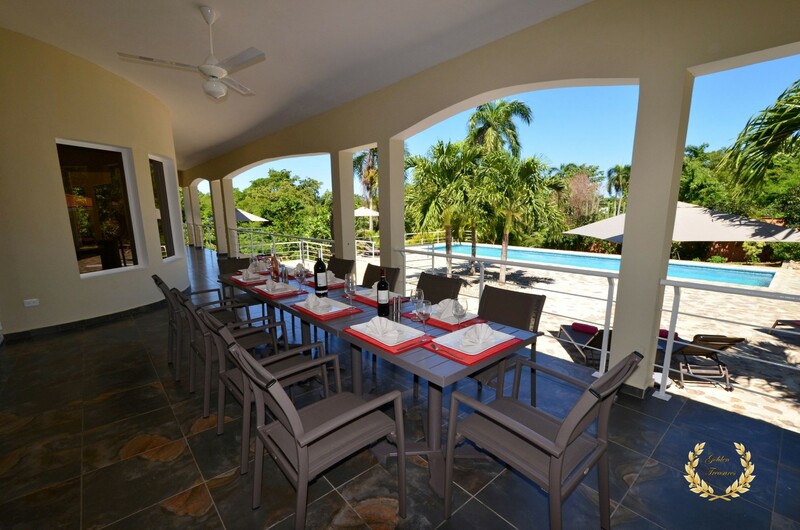 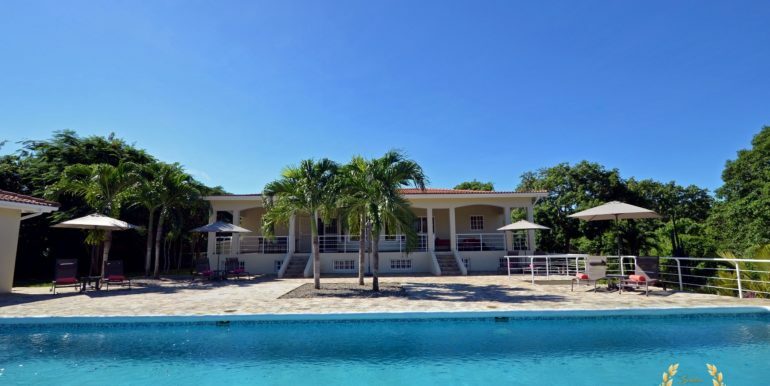 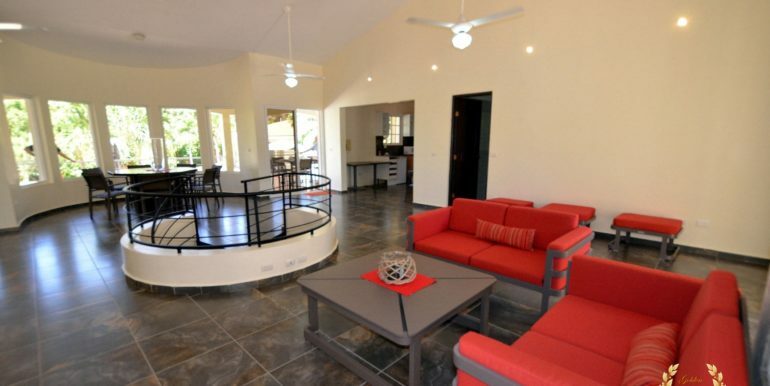 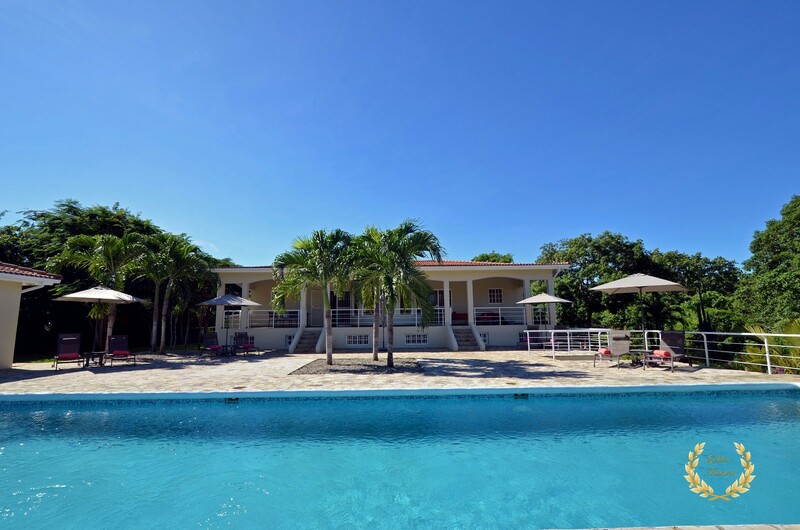 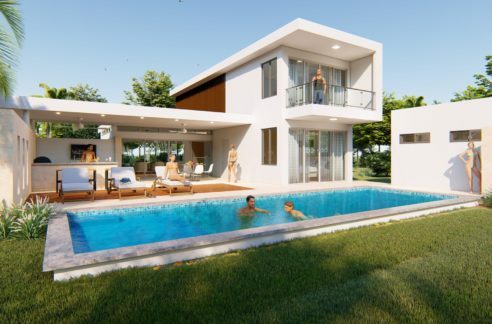 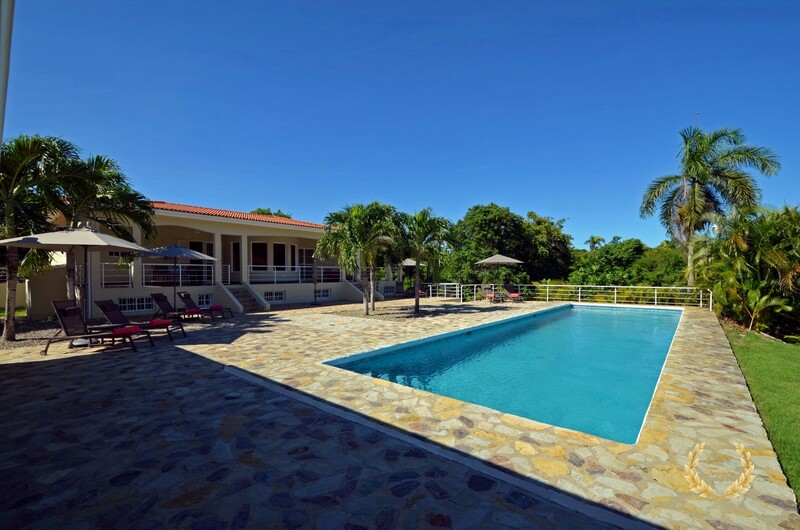 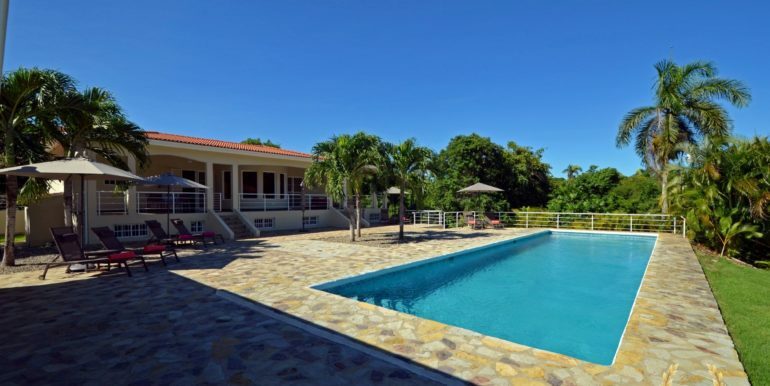 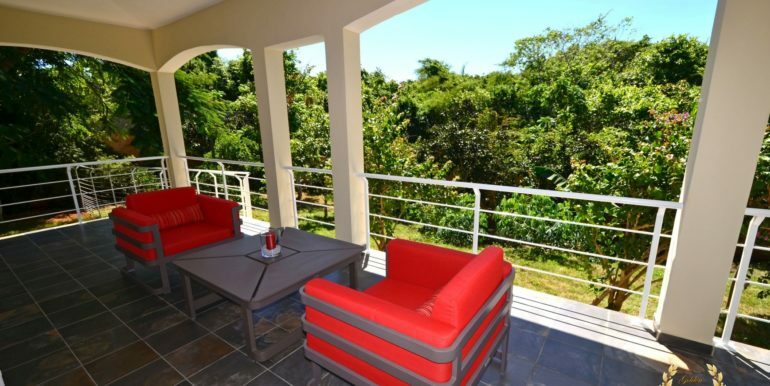 A large villa for sale in Sosua, this contemporary piece of architecture has 6 bedrooms, that offers extra space areas in a very modern style with the added bonus of its private surroundings. 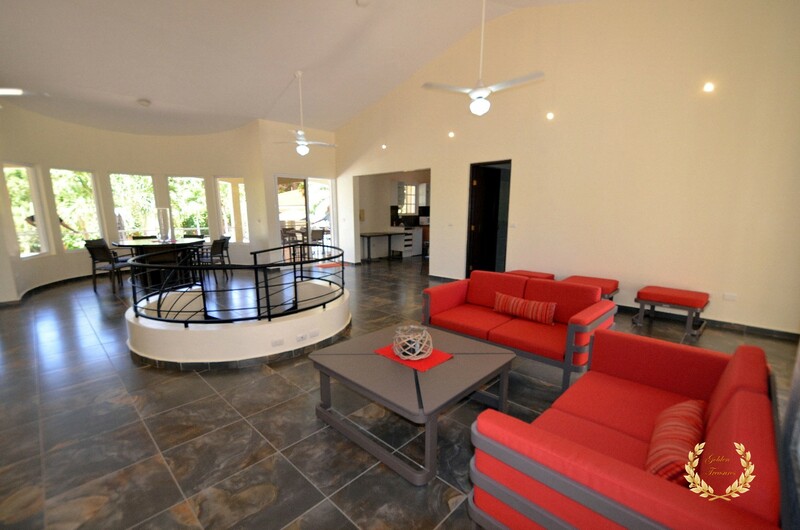 The large living room is open style with dining area, lounge areas and a center staircase that leads to lower floor areas that include laundry room, a utility room and a lower level kitchen. 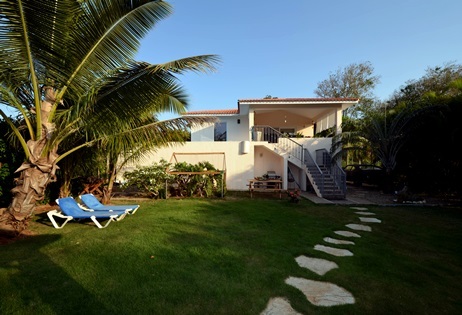 The villa can be expanded if desired, given its amplitude. 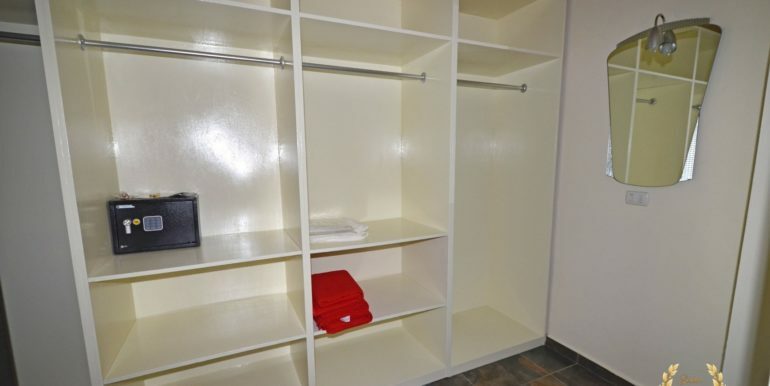 The garage is perfect for two large SUVs, plus extra parking space outside for several more cars. 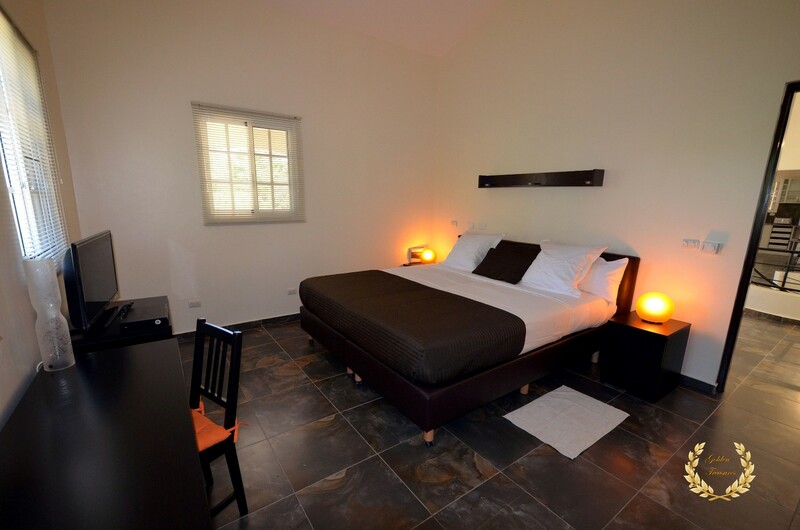 The bedrooms are all spacious, each with its own ensuite bathroom of European style, very finely finished. 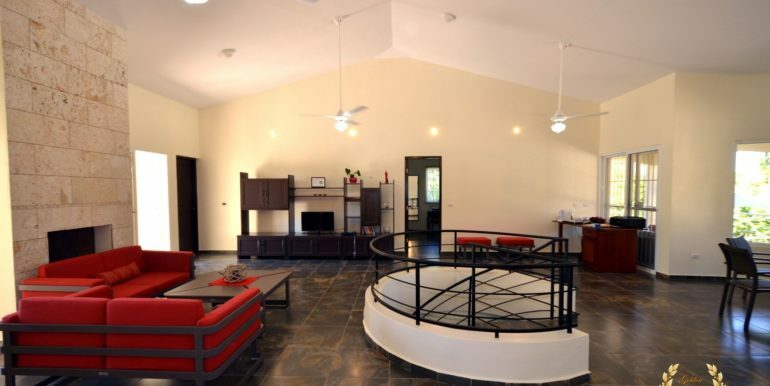 Two of the bedrooms inside the main house include private balconies as seen in photo #9, quite spacious. 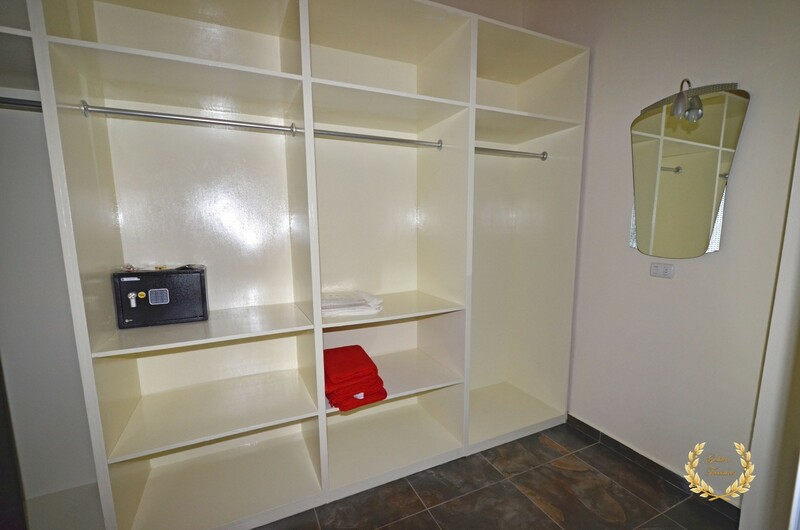 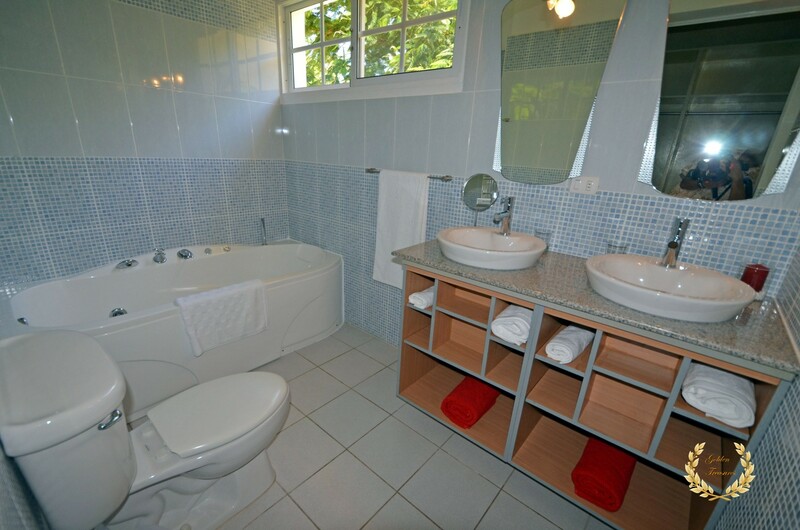 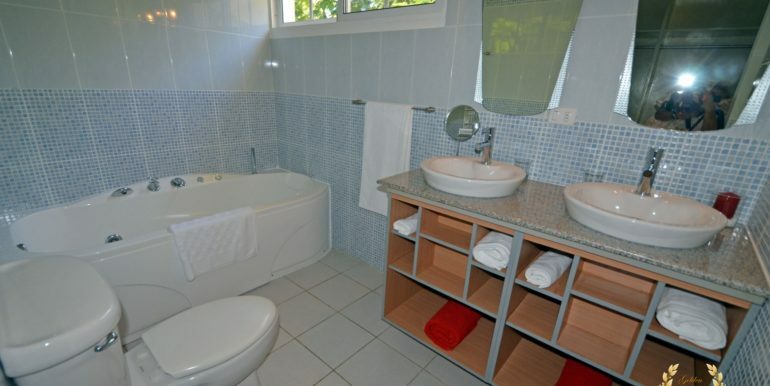 The main suite has a walk in closet and Jacuzzi, and each bedroom is air conditioned, with safe deposit box, cable TV connector and professional lighting. 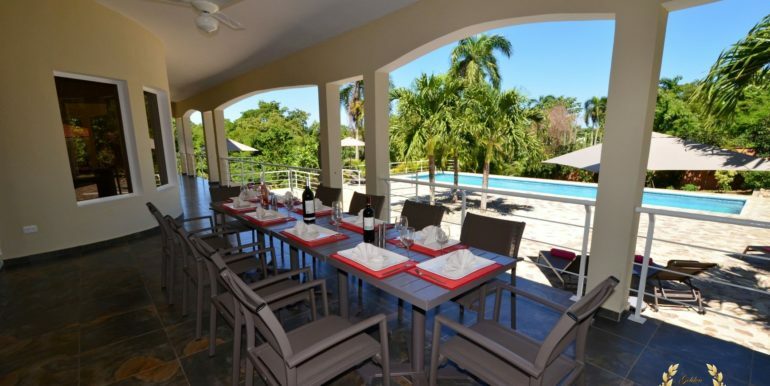 Outside, the large deck surrounds a long lap pool of perfect dimensions and depth. 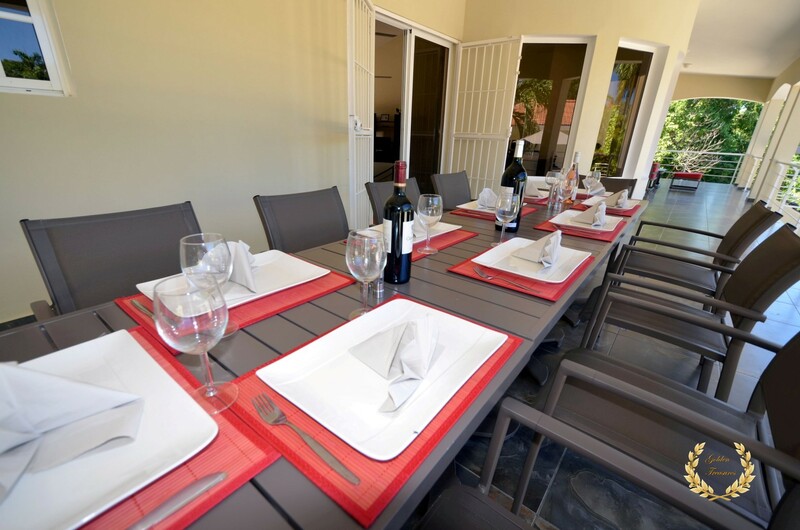 The guest house includes 2 bedrooms, 2 bathrooms and the BBQ area with porch. 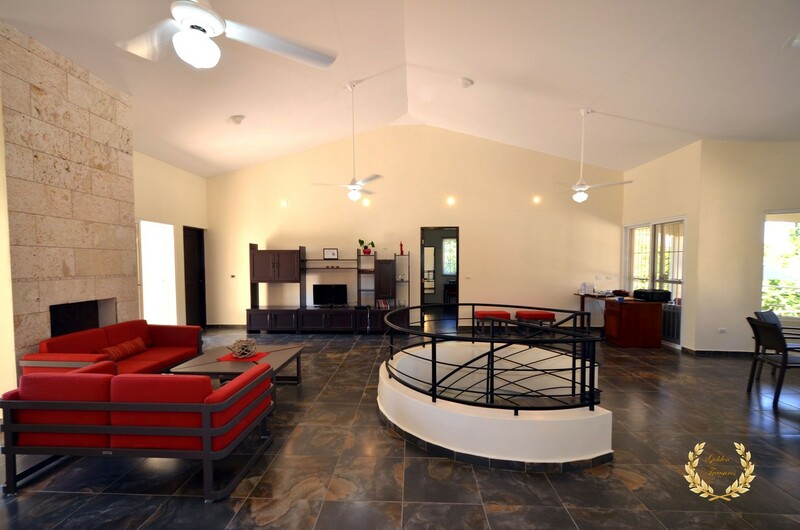 Additionally, the main house has lounge and dining areas under its main veranda, with twin short stairs flanking a semicircular picture window. 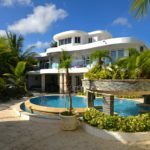 This is the perfect home for someone that loves les grandes surfaces; amplitude at its best, among tropical palms and birds. 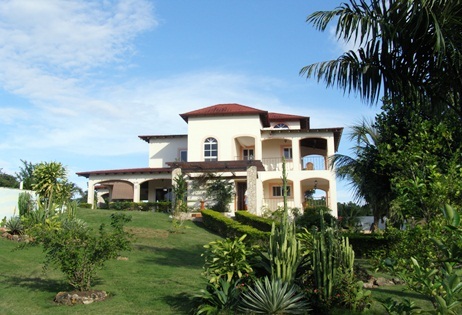 The land size is 3200m²= 34444.51ft² and the house size 650m²= 6996.541ft².